That little caption drives me crazy. 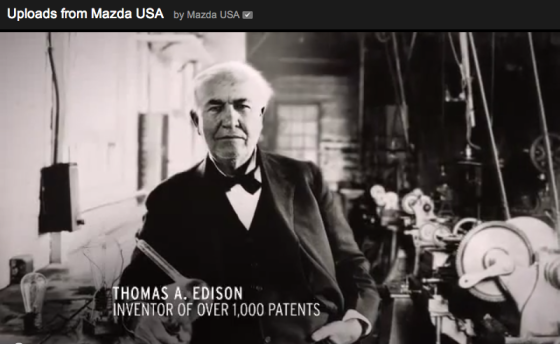 One does not “invent patents.” One invents inventions, which then may be patented. But patenting something doesn’t mean one invented it. In fact, a lot of the patents held by Edison or his businesses were invented—or, some allege, stolen—by underlings at his Menlo Park research lab. And there are arguments back and forth to this day that some of Edison’s greatest “inventions” were simply refinements of inventions created by others. Holding a patent on an invention doesn’t prove who invented it. It just establishes a legal basis for protecting the commercial exploitation of the idea, which the litigious Edison well understood. Ugh. If you are going to sell innovation, shouldn’t you understand what it really means?